The FCC has released a final comprehensive report offering insight on the performance of the Emergency Alert Service (EAS) and Wireless Emergency Alerts (WEA) during the country’s first-ever combined, nationwide test conducted on October 3, 2018. In December 2018, the FCC released a preliminary report on the results of the nationwide test. The FCC’s final report provides, in addition to metrics, useful information on areas for improvement regarding technical and operational performance. The final report also includes recommended next steps that the FCC’s Public Safety and Homeland Security Bureau (PSHSB), EAS Participants, and Participating CMS Providers can take to improve EAS and WEA as a reliable alerting tool to protect all Americans. The FCC, in its conclusion, called the 2018 combined nationwide test a success. 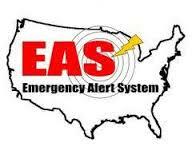 Finally, the FCC stated that its upcoming 2019 combined EAS/WEA nationwide test, which has not yet been scheduled, will focus on ways in which the PSHSB can work with FEMA, the State Emergency Communications Committees, Participating EMS Providers, individual EAS Participants, other stakeholders, and the public to address issues raised in last year’s test and ensure that WEA and the EAS can deliver timely and accurate national alerts and critical emergency information to the public. Daryl assists clients with transactional matters and spectrum acquisition issues. Daryl serves as Assistant General Counsel to the Rural Wireless Association. Womble Bond Dickinson,” the “law firm” or the “firm” refers to the network of member firms of Womble Bond Dickinson (International) Limited, consisting of Womble Bond Dickinson (UK) LLP and Womble Bond Dickinson (US) LLP. Each of Womble Bond Dickinson (UK) LLP and Womble Bond Dickinson (US) LLP is a separate legal entity operating as an independent law firm. Womble Bond Dickinson (International) Limited does not practice law. Please see www.womblebonddickinson.com/us/legal-notices for further details. Rural Spectrum Scanner is a complimentary email newsletter focused on current regulatory and legislative news affecting rural and independent communications providers.